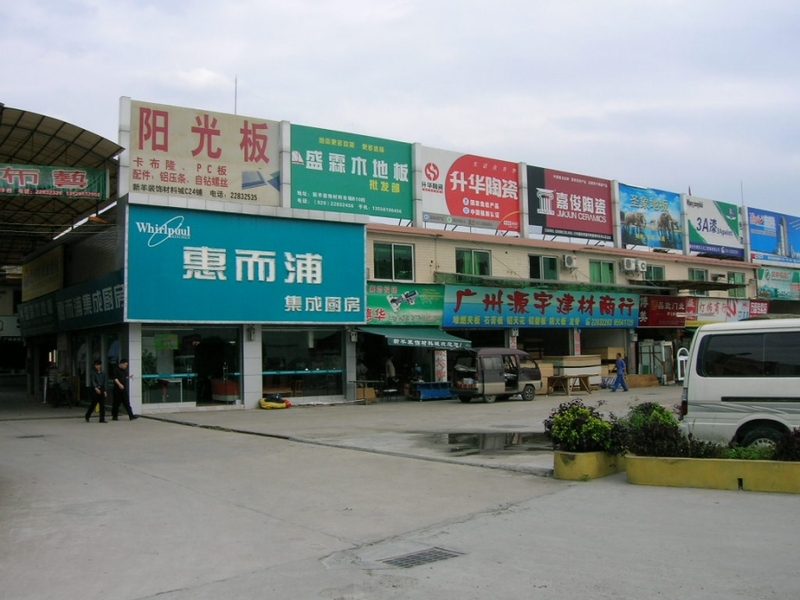 Guangdong Decoration Material City in the Xinyang decoration materials professional Gold Forum - Huangpu Road, and adjacent to B & Q he, strategic location, transportation is very convenient, and the odd and even days from trucks into the city limits. Sheep Guangdong Decoration Material City area 23,000 square meters, total construction area of ​​over 8900 square meters, is by planning, business, formal approval of the fire departments, with complete legal formalities of a large mall. Sheep Guangdong Decoration Material City is a decorative material wholesale sales, collection of information release, new product Expo, decorative design, storage and transportation in one, by virtue of their grand scale, reasonable layout, standardized management and improve the supporting base etc., and become a large scale Guangzhou Tianhe district, the most into the system, highly decorative materials business city. 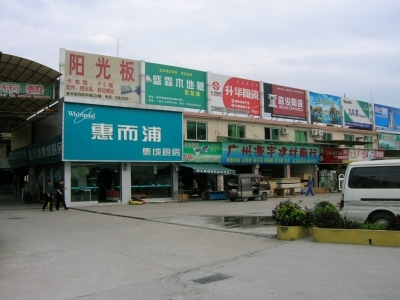 Sheep Guangdong Decoration Material City opened the necessary licenses to provide services to co-operate, for each step of opening the business to provide comprehensive services; from time to time open unified distinctive decorative material supplier, publicity and promote products to help businesses operate. New sheep and decoration materials in Guangdong City, Guangdong Province, is jointly organized by Association of decorative materials, from time to time publish the latest industry trends and showcase their latest products. Merchants on the occasion, there are many well-known brands of home agents to join, will make the business opportunities multiply, popular even more vigorously! Sheep Guangdong Decoration Material City is an ending of decorative materials trade fair, lets you easily into the city! Real profit!